Membership Rewards is offering a 25% bonus when you transfer Amex points to Air France/KLM Flying Blue. The promotion is valid for transfers through April 29, 2019. 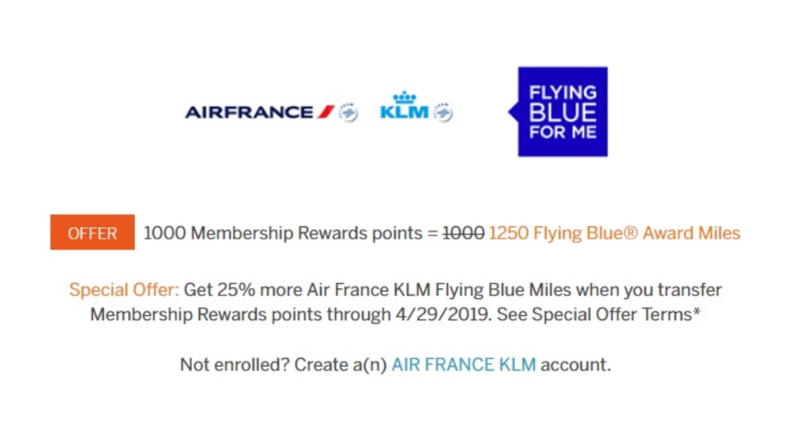 This promotion can work out quite well if you can combine it with Flying Blue’s monthly Promo Rewards, which offer discounted awards from the Air France/KLM hubs in Paris and Amsterdam. Fortunately, Amex points transfer to Flying Blue instantly, so you can confirm your ticket as soon as you find award availability for your trip. If you see a Promo Reward you like, just transfer your Amex points with the 25% bonus and you're ready to book. 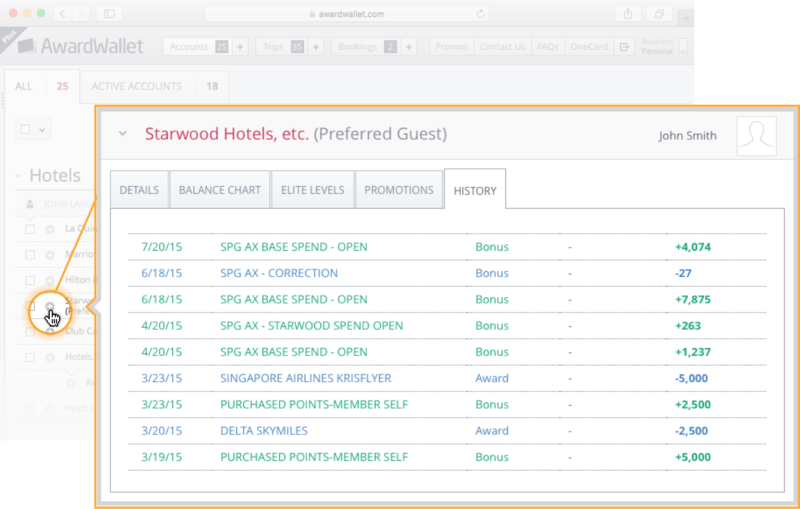 Although it can be tempting to transfer points proactively to take advantage of a bonus, doing so will dramatically reduce your options for booking flights. Amex partners with 16 other frequent-flyer programs, so it's best to maintain maximum flexibility until you know exactly what trip you want to book. 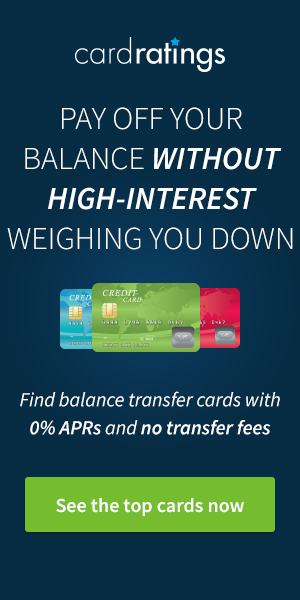 Looking for more resources on Amex points? Check out the full list of Amex transfer partners or our guide to earning American Express rewards. Nice to get a bonus if you are transferring points. However, I have read several stories about Flying Blue closing down accounts after someone has transferred a lot of points from one of the flexible points programs for a redemption, so the program makes me a bit wary. What’s the stated justification from Flying Blue for closing the accounts after a legitimate transfer? People should just forget about the Flying Blue nonsense altogether. awesome deal for those in Europe that can use these flying blue miles! Need to get back to Paris to use a 2 free night hotel cert this new years…. No bonus in Membership Rewards in Europe. Moreover, the transfer rate is 2:1. It means 2000 points 1000 miles. And to accumulate points you need to spend also more (1 EUR = 1.13 USD). So it is a lot worse than in USA! Argh! I just a card that gives me MR points. So I cannot take advantage of this yet. Maybe later I’ll have enough to be able to transfer. I’ve been earning miles through surveys and plan to fly them soon. So I’d hope they wouldn’t shut down my account if I would transfer points. It seems that Amex does this pretty regularly with AF/KLM. I hope it continues. Sounds like a great deal! Thanks. I just took advantage of this transfer bonus. I love this promotion. Especially when combined with flying blue promo awards. This is just like the QF deal yesterday. This sounds great! Thanks for the tip. I love these bonus transfers!!! Keep them coming. Nice bonus if it is one you can use. There is a possibility this promotion could work for me? Most of Flying Blue’s monthly promos to not include ORD. Great news. Better move then fast! About the bonus Expiration date, is the same of main points? I agree. What is the corporate motivation for transfer bonuses? We’re really seeing some competitive offers at least. A nice trend. I think it’s great to transfer points to someone else so they can take a trip. But the best is for you to get a bonus for doing it. This program actually helps both people – the giver and the receiver. Flying Blue miles are very hard to extend, if you transfer and end up not booking. Only earning miles form flights on Air France or a partner qualify for moving your expiration date. Transfers do not. This one I will take advantage of. Flying Blue has been great to me in the past. Easy to book. I love when we see these transfer bonuses! I am not sure about transferring my points there but I am interested or maybe interested in transferring them somewhere else. so thanks for let me know that that option is available. Is the promotion valid for cards issued in Brazil? Usually these promos are limited to cards issued in a single country. You should be able to see any Amex offers by logging into your account online. Please let us know if the bonus is available for you as well! Seems like more of these transfer bonus offers are popping up these days. This sounds great! 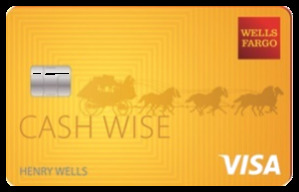 This works out only with Amex? Yes, only with Membership Rewards. Great deal!!! Will look into. Planning on going to France soon so this is helpful. Love AmEx!